SEOUL, Jan. 9 (Yonhap) — South Korea warned North Korea Monday that it could face stronger international sanctions and pressure if it goes ahead with a launch of an intercontinental ballistic missile. The Defense Ministry also said South Korea’s military will sternly and strongly retaliate against any North Korean provocations. However, it did not elaborate on what actions it will take. 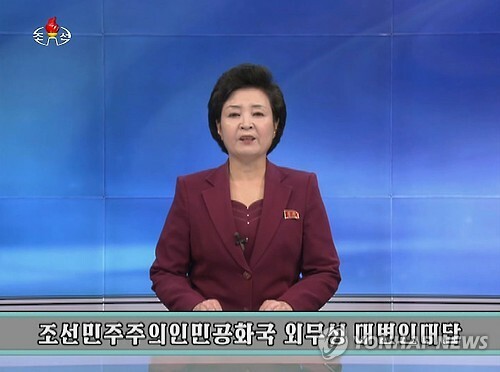 The warning came a day after North Korea’s Foreign Ministry said Pyongyang may launch its long-range missile at a time and place to be decided by North Korean leader Kim Jong-un. Kim has said in his New Year’s Day address that North Korea was in the final stage of preparing to test-fire an ICBM which has a range of over 13,000 kilometers. Pyongyang has long been suspected of trying to develop a nuclear-tipped long-range missile that could reach parts of the U.S. mainland. The communist state is widely known to have test-fired an ICBM from a fixed position, but data collected in 2013 and 2014 showed the North was moving towards a mobile launcher platform, an official from Seoul’s Joint Chiefs of Staff said in a press briefing.